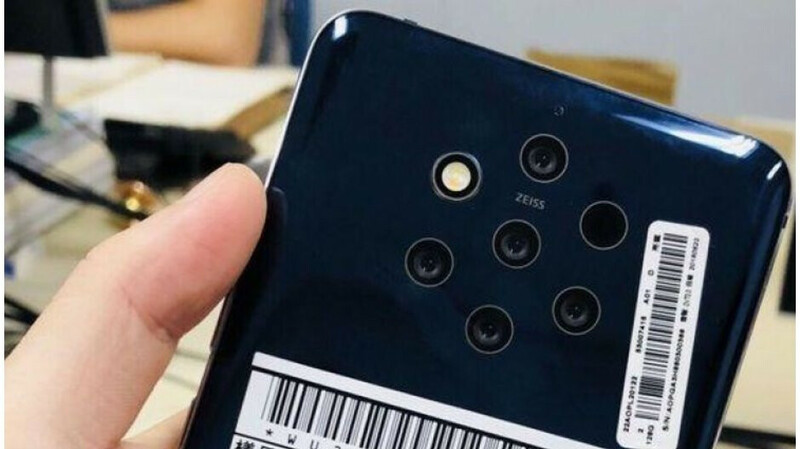 The Nokia 9 PureView hasn’t even been released yet but according to one new rumor (via NokiaPowerUser) HMD Global – the company in charge of developing Nokia-branded smartphones – is already hard at work on a successor that could arrive by the end of the year. According to the information, the next-gen flagship will build upon the features that are set to be introduced with the Nokia 9 PureView. More specifically, it's claimed that a similar penta-lens setup, presumably complete with some software and hardware upgrades, will be present on the rear of the smartphone. This will be paired with a significantly redesigned front that’ll bring the device in line with 2019 design standards. Reportedly, the 18:9 panel present on the Nokia 9 PureView will be replaced by an edge-to-edge display that boasts a punch-hole cutout and a 2K resolution. When it comes to the internal characteristics, it’s claimed that the smartphone will be powered by Qualcomm's Snapdragon 855, although this isn’t exactly surprising considering most flagships will make use of the chipset this year. At the moment, the RAM and storage counts remain unconfirmed, but 5G support is listed among the specifications. Additionally, stock Android 9 Pie is to be expected straight out of the box. Lastly, when it comes to the device’s announcement, the source claims HMD Global is aiming for an introduction in August 2019, although it’s warned that this could be pushed back o September if issues arise. In any case, as this simply a rumor at this point in time, it’s worth taking the details with a pretty big pinch of salt. Should have waited and launched August version instead of January version. If they did that, you'd have an enormous amount of people saying that they are too late to the game with a flagship, especially since news of the Nokia 9 has been around for a good while now. Well knowing Nokia's release patterns, I'm pretty sure that there's going to be multiple versions of it. I think they lack a clear focus if you ask me. Nokia doesn't release smartphones anymore, so what you're saying is incorrect. Man are you the freaking CEO or something? It's not that serious. Dudette, are you the freaking designated troll of HMD articles? You need a new line of work because it's not that serious to troll every HMD article. Like, show the doctor on the doll where the Nokia smartphone has touched you inappropriately already. I'm not trolling. The only one who has a problem with what I said is you. You always go after comments on Nokia articles that you either disagree with or you just want to toss in your worthless opinion. Perhaps you need to show the doctor on the doll where you were you were violated since you are the one who continues to get pissy all the time. You are trolling. You always make negative comments on HMD articles, even when it’s about nothing but something positive that can benefit consumers via choice. You just want to toss your worthless opinion in. It’s definitely you that needs to show the doctor on the doll exactly where certain OEM’s have mishandled and obliterated your special parts since it’s you that gets all triggered over certain OEM’s articles. I think it's a little premature for this new leakster to be talking about the successor to the Nokia 9 when the original hasn't been released yet, but it has my interest. Right because that totally has never happened in the mobile world. My condolences that my comment has offended you so much. Not my fault if you were misinformed again. Not my fault that my comment caused you so much pain. They are Osborning their yet to be announced products, that are already late and come with outdated hardware. Brilliant business tactics! What part of Nokia 9 you think is outdated? Maybe your brain is outdated. Wasn't it supposed to be released last year but got hampered by several delays? Not this smartphone. The actually reading the article next time. They have released derivatives before.